The BJP leader even targetted the law officer, who appeared for the Centre before the apex court in the matter today, and asked on whose instructions had he opposed him and Singh in the court. BJP leader Subramanian Swamy on Wednesday took a dig at the Centre and told the Supreme Court that a document placed by it in a sealed cover, in a case relating to senior ED officer Rajeshwar Singh, was available on micro-blogging site Twitter. After a vacation bench of Justices Arun Mishra and Sanjay Kishan Kaul pronounced its order in the matter and said the government was free to look into the “serious” charges against Singh, Swamy told the apex court that the document has been “put on Twitter”. “It (document) should not have been put on Twitter,” the bench said, adding, “It should not have been put in the public domain”. Justice Kaul observed, “everything is on Twitter nowadays”. After the pronouncement of the order, Swamy told the bench that he was “happy” with it. Later in the day, Swamy held a press conference at his official residence here and made public the document, which he claimed was placed in a sealed cover before the top court by the Centre. He alleged that there was no basis for the Ministry of Finance to file a report of the Research and Analysis Wing (R&AW) in the court as it was of year 2016, which was already available on Twitter. 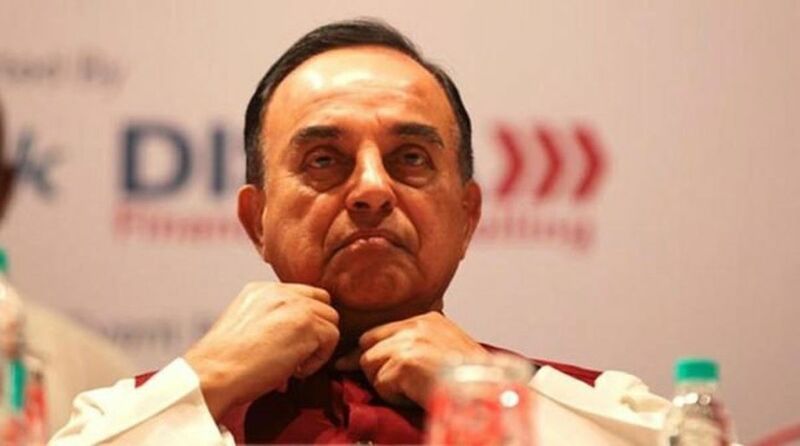 Swamy claimed in the press conference that “some powerful people” were after Singh as he was investigating the Aircel-Maxis deal case in which a second charge sheet would be filed in a trial court shortly. He said that even after the 2016 report of R&AW, Singh was promoted to the post of Joint Director of Enforcement Directorate (ED) and at that time, there was no problem. However, now in 2018, Singh’s promotion as Additional Director of the agency has been held up based on the same report, he said. “As per my information, the PMO, the National Security Advisor and the Cabinet Secretariat was not informed that the Additional Solicitor General will be opposing my petition. He should be removed,” he said at the press conference.